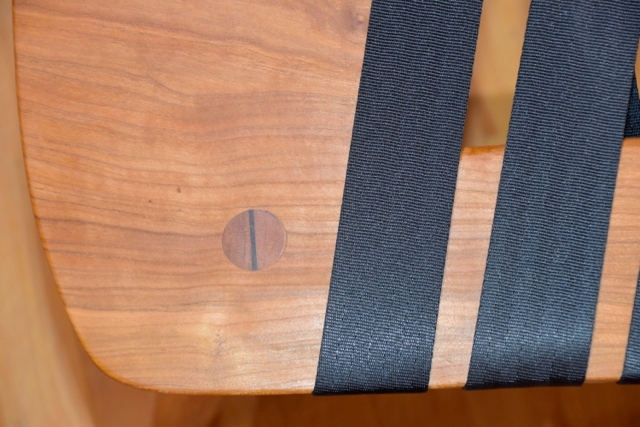 The Barkley Bench is crafted from a cherry slab with a live edge and repurposed seatbelt webbing. 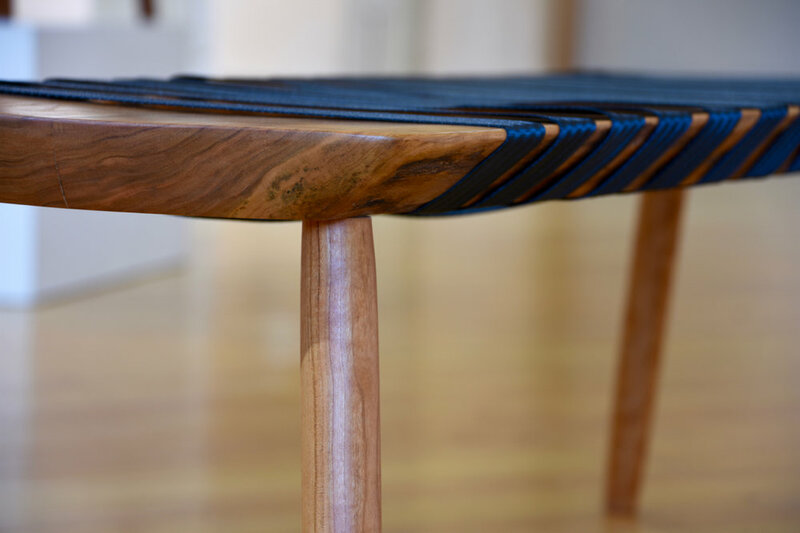 The inspiration for the design came from the challenge of repurposing the wood from a gorgeous old cherry tree that came down years ago in a storm. The expression here is one of repurposing materials and blending ancient with modern, natural with manmade. 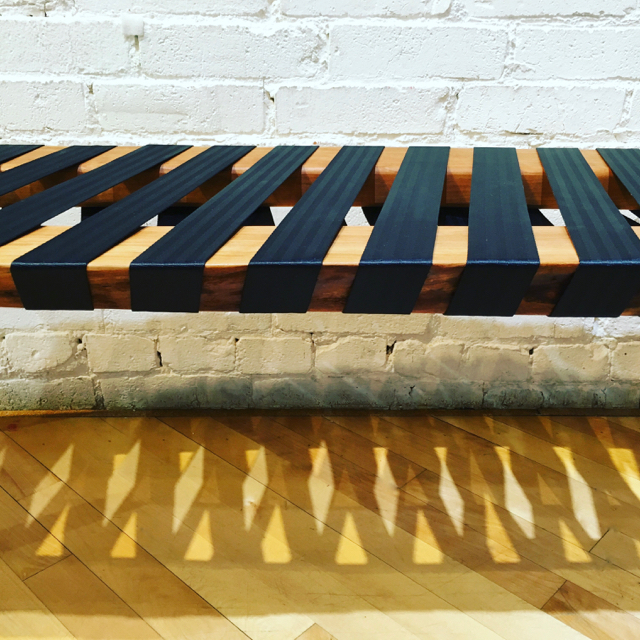 The Barkley Bench as shown has the dimensions of 55"w x 15"d x 17"h.
Each Barkley Bench is unique. Mark works with clients to procure just the right piece of wood according to the desired species and dimensions.